The Ice House :: FREE - Jesus Trejo, Surprise Celebrity Guest - Cool Beans Comedy! 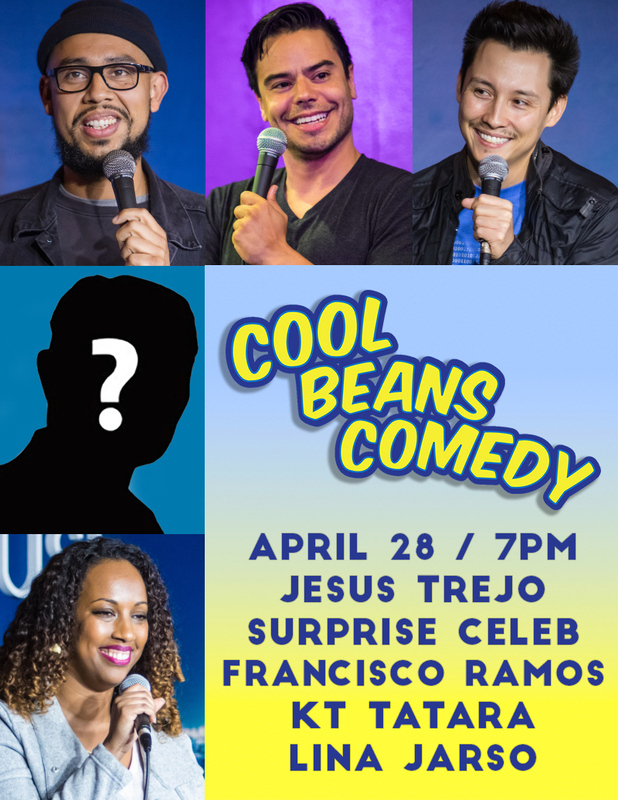 FREE - Jesus Trejo, Surprise Celebrity Guest - Cool Beans Comedy! Based out of Los Angeles, born and raised in Long Beach, CA, Jesus has appeared on Comedy Central’s "ADAM DEVINE'S HOUSE PARTY", Season 2 of "Stand-Up & Deliver" on Nuvo TV, and as a recurring cast member on TBS’s sitcom "SULLIVAN & SON" as Javier. Jesus Trejo was selected by OC WEEKLY as one of the "COMICS TO WATCH" and was also chosen to participate at the "Laughing Skull Festival" in Atlanta, GA, where he was among the top 10 finalists in 2014. In July of 2015, Jesus took part in the prestigious Just For Laughs (JFL) Festival in Montreal, as part of Jeff Ross’s "ROAST MASTER'S INVITATIONAL". Recently, in December 2015 Jesus had the pleasure of opening for Louis C.K. at the Comedy Store to a sold out audience. His animated charm and self-deprecating style, along with his impressions, will paint a funny picture of the world he lives in. Francisco Ramos is one of the top 10 finalists from this season's Last Comic Standing, and he will appear as Ramon on the new Netflix show "Lady Dynamite", slated to come out in early 2016. He is also the voice of the Lead Marmoset in the movie “RIO” with Anne Hathaway and Jesse Eisenberg. He has toured worldwide as a standup comic, including going to Afghanistan to perform for the US troops. He appeared in the Byron Allen syndicated show “First Family”, has appeared in several sketches for the Jimmy Kimmel Live Show, and is also a part of Steve Carell’s new TBS pilot “Tribeca”. Originally from Venezuela, Francisco moved to Washington D.C. in 1994. He graduated from the University of Maryland in 2004 with a double major of Finance and International Business. However, after a short-lived desk job, Francisco realized that his passion was comedy. He has been selected to perform in the CBS Multicultural Diversity Showcase, where he was one of 12 selected from a pool of 5,000 applicants. He has also appeared in NUVO TV's show “Latino 101" and in the movie “Marmaduke” with Owen Wilson and George Lopez. Francisco Ramos performs regularly at the major comedy clubs in Los Angeles such as the Comedy Store, Comedy & Magic Club, Laugh Factory, Improvs. He worked as one of the writers and host for the 123UNODOSTRES channel show “Bashtag”, and is quickly becoming one of the best comics in the industry.